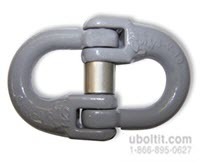 Bulk Repair Chain & Replacement Parts | U-Bolt-It, Inc.
U-Bolt-It supplies high quality and durable chain repair parts including load binders, rapid links, slip hook, grab hooks and more. 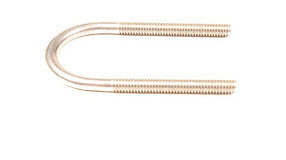 Chain replacement links are used for quick and easy chain repair and attachments. Our extensive bulk chain repair inventory come in a variety of grades and sizes including 43, 70, 80 and 100. Depending on your project requirement we supply forged steel, heat treated and plated slips and hooks. The grab hooks are designed to hold the chain in place, while slip hooks are used to join attachments to welded chain or wire rope. Have a question about our bulk chain replacement parts? Contact our team directly at 1-866-895-0627 or by using our secure online form below. We look forward to speaking with you!